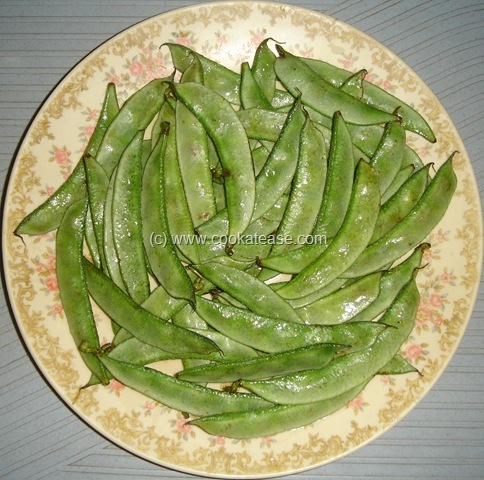 Broad Beans is known as Avaraikai in Tamil Nadu. 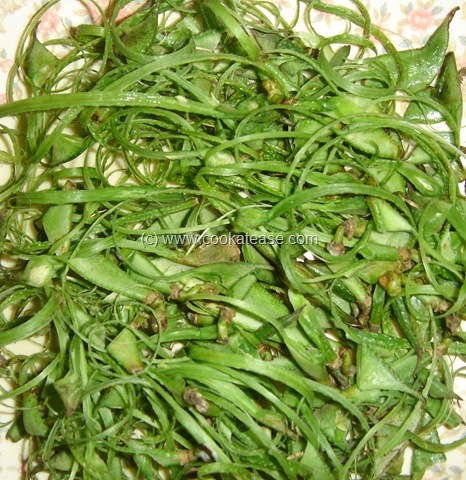 Broad Beans is used to prepare Sambar, different Poriyals (dry, without gravy), Avial, Kootu. Here I have prepared Broad Beans Masala. Cooking time: Approximately 30 minutes. 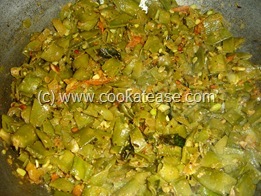 Wash and chop broad beans, onion, tomato, green chilli, garlic and curry leaves finely. 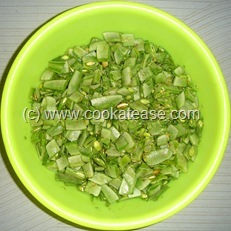 Heat a pan with oil and do the seasoning with curry leaves. Add Chopped garlic, green chilli and fry well. 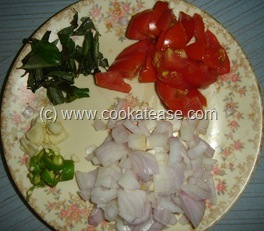 Add chopped onions, salt; fry till onion becomes transparent. 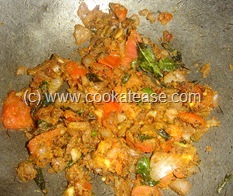 Add tomatoes, fry till it becomes soft. Add turmeric, red chilli, coriander powder and fry. 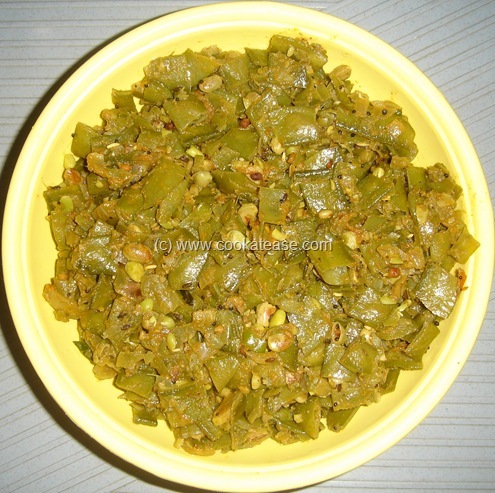 Now add finely chopped broad beans; fry for 2 minutes and sprinkle handful of water; close with lid and cook for 10 minutes in low flame by stirring at short intervals; keep till done. Preparing Broad Beans has to be done carefully before chopping to remove waste. Click photograph on right. 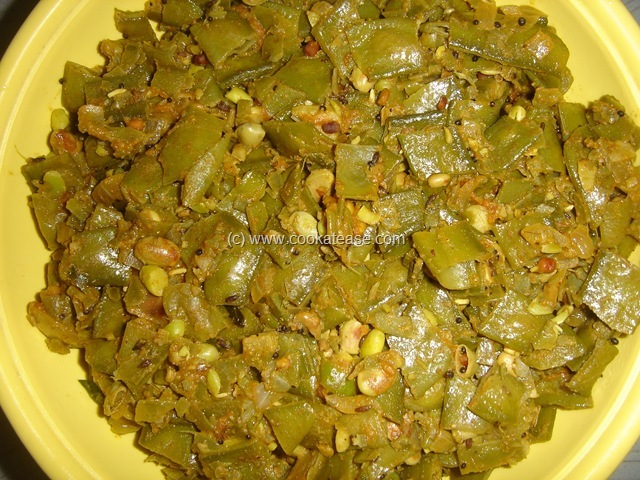 First time here really enjoyed browsing thru ur recipes..i love this one so much.. but i hardly get here , really missing it.. Feel like having now..